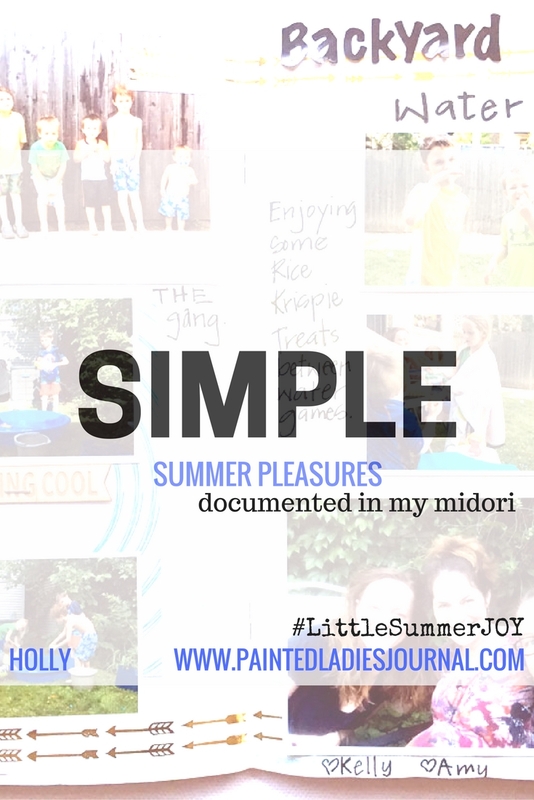 Lesson 5 of #LittleSummerJOY was a "simple" one for me to find lots of material for making journal entries. 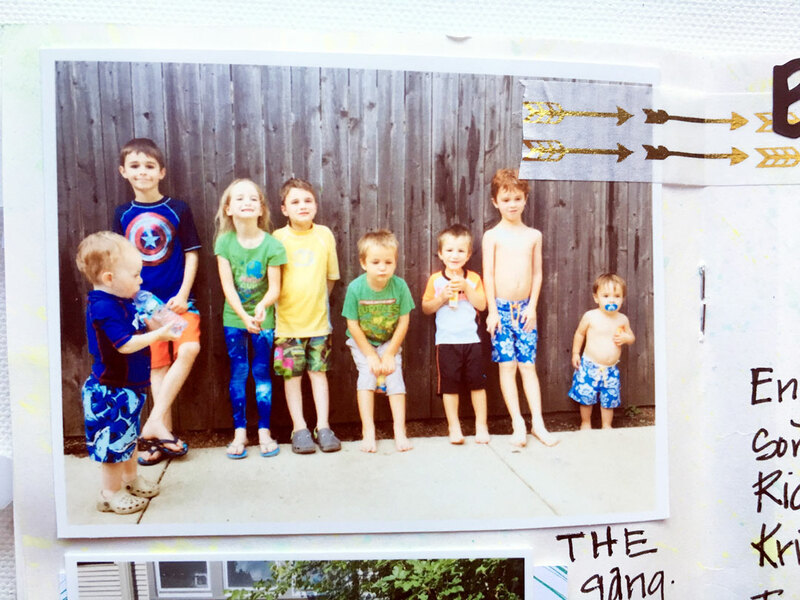 Last week, I used this same prompt to document my gardening adventure. 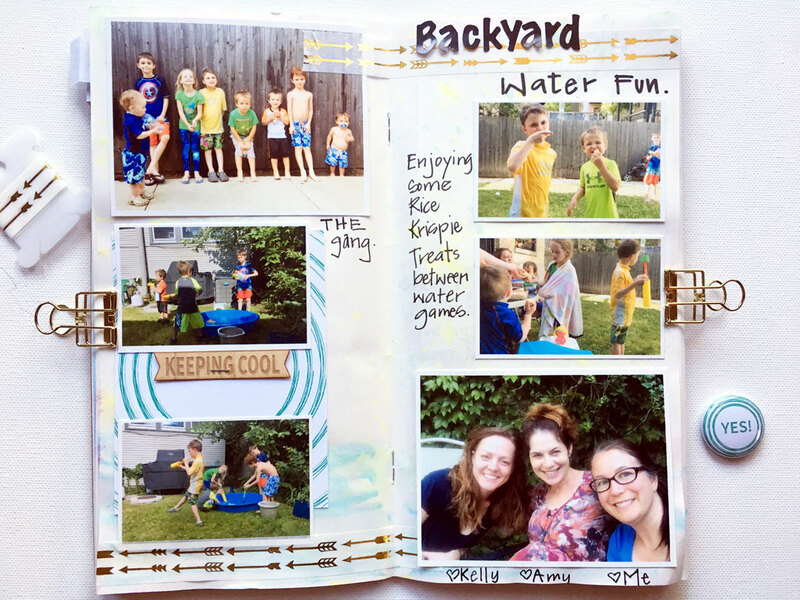 This week, I am documenting some backyard water fun with the neighborhood school friends. These are the days of summer. 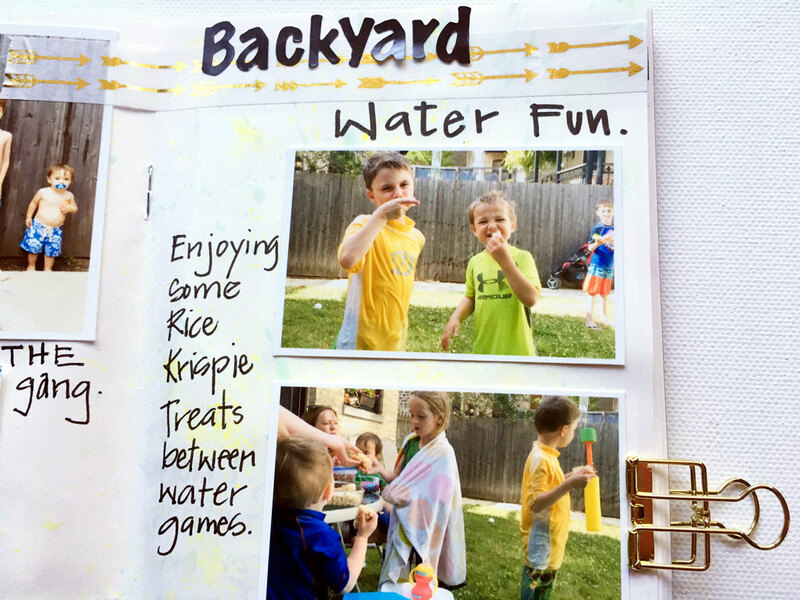 These are some of my favorite summer photos with good friends having some simple backyard water fun. I started out with my gelatos and put a light bit of color for the background. And that's my favorite picture. All lined up against the fence, soaking wet and out of breath. I'm using my July Take 10 Kits, which included that fun gold foil arrow washi. Below that, I attached a card from the July Take 10 Pocket Kit behind two action shots. I use the Picstitch App on my iPhone to make 4x6 photo collages that I print and cut apart at home. I created my title with alpha stickers from the May Take 10 Kit. These moms mean a lot to me. We get together for playdates after school during the winter months to keep the crazinesss away. 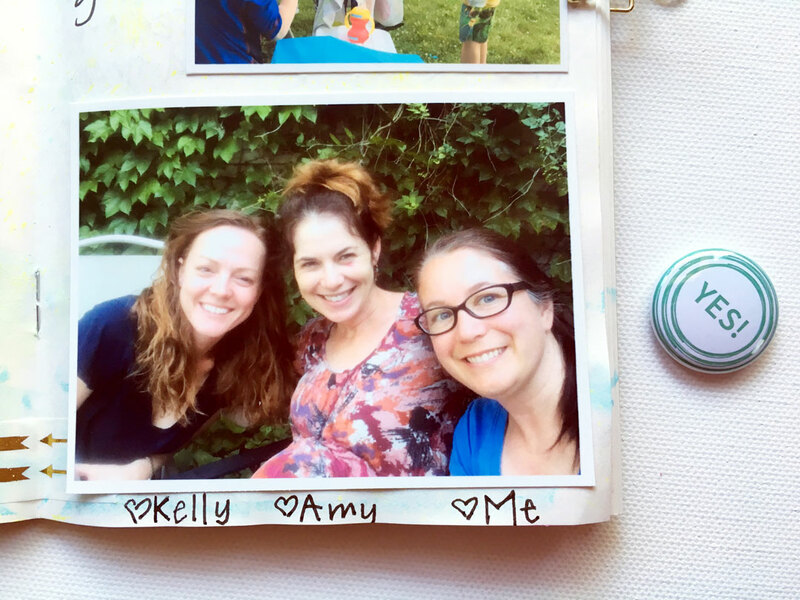 So much fun to hang out with like minded mamas. If you are also finishing up your #LittleSummerJOY project, you might any of the May, June or July Take 10 Kits. 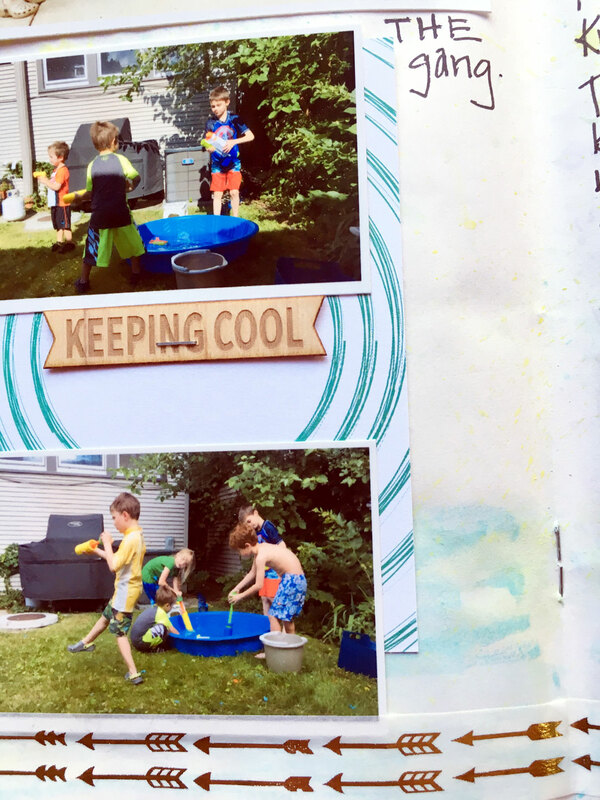 They all include fun summer elements that are great for this project!